This is another installment in the Mo Willems author study series. In I Love My New Toy Piggie gets a new toy that Elephant breaks. Squirrel helps them to figure out it’s a Break-and-Snap Toy. I found a way to use up the extra eggs leftover from a shaker craft. Open up enough eggs for the amount of children you have. Mix and match the colors, then distribute. 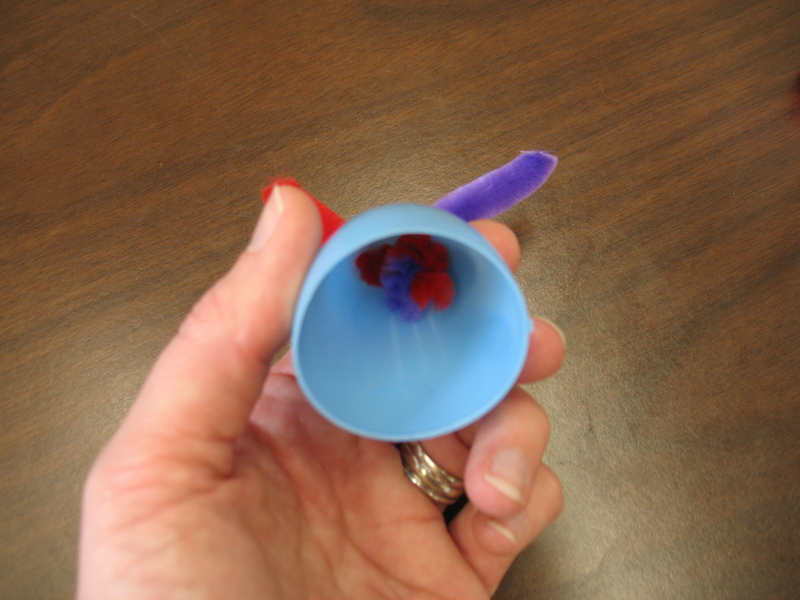 Insert 1/4 pipe cleaner into each hole of one half of the egg. Twist together twice. Repeat for the other half of the egg. Now you have a Break-and-Snap Toy just like Elephant and Piggie! 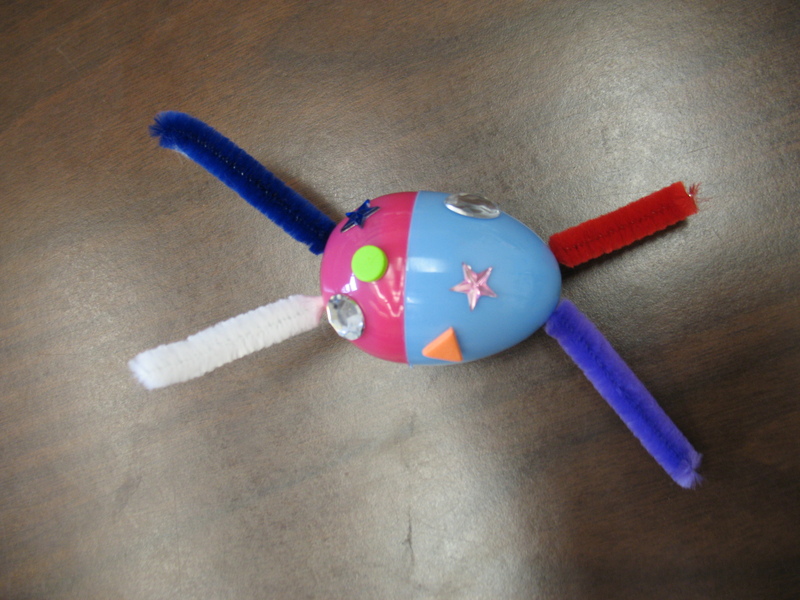 This entry was posted on November 11, 2013 by mrsshaia in After School Library Programs, Mo Willems and tagged After School Library Programs, Mo Willems.